McGill's Trauma Fellowship for Emergency Physicians is a one year fellowship program (with an optional second year) that allows you to develop expertise in managing major trauma patients, both blunt and penetrating. During the year, you will take charge of a multi-disciplinary team through all the phases of the patient’s hospital stay, with a focus on the initial resuscitation. 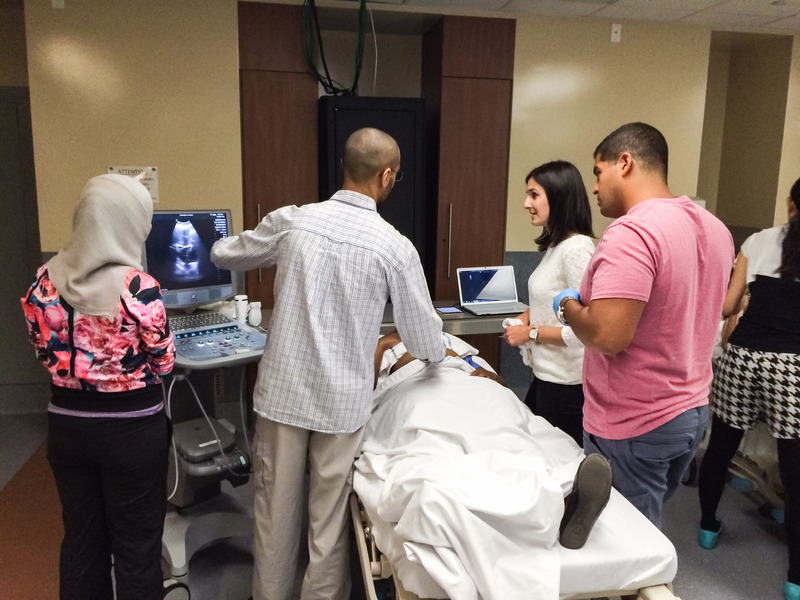 McGill’s post graduate fellowship in Emergency Medicine Ultrasound is a one year training program to train future leaders in Emergency Ultrasound. Fellows will be trained in all aspects of Emergency Ultrasound, including advanced applications, research, and education. Graduates of this fellowship will be able to function competently in the role of Emergency Ultrasound Director in both an academic and community setting. From the Grand Prix to the Jazz Festival to Just for Laughs, our new Mass Gathering and Disaster Medicine elective allows residents to be involved in the medical aspects of mass gathering events. You will participate in hospital-based disaster and mass gathering event planning, and also be the on-site physicians for events such as the Formula One Grand Prix of Canada and the Mont-Tremblant Ironman. One-day hands-on course of the core Point of Care ultrasound indications, covering eFAST, Aorta, basic cardiac, and pelvis (including endovaginal). The course also introduces the learner to parasternal cardiac echo for LV function. This course is recognized and approved by the Canadian Point of Care Ultrasound Society (cPOCUS) as a required course prior to undergoing the IP certification process. 2.All required exams including Practical, Visual, and written components.